Before we sat down, we had to wait. We were allowed to wait at a pub where they would call when the table was free. After a pint at a local pub, we went back and drank at the bar waiting for a table. We didn’t want to be half way through a pint at a pub and miss a table or down the pint. When the table became free, we sat down and all ordered the whole lobster. There are two ways to have the lobster. The first is steam all the way. 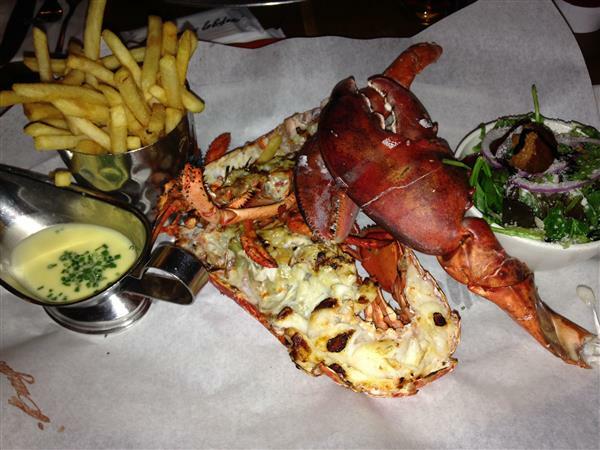 The second is the lobster is quickly grilled at the end of the steam. We all chose the grilled. The lobster was good. It was enjoyed by all. After that, we went to another pub and had a pint then went our separate ways. This is simple to make, all ages can do it, all ages enjoy it and you can add whatever sweets you want and it would still taste awesome! Add the butter, chocolate and golden syrup to a pot. Cook over a low heat, until melted, stirring until smooth. 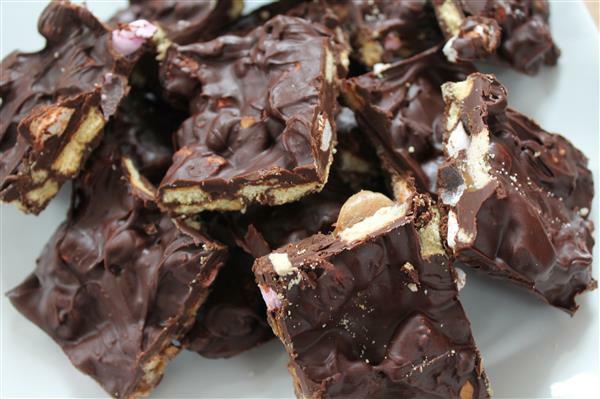 Stir in the chocolate bars, biscuits and marshmallows. Put in fridge, until it hardens.